GENRE: Young Adult, Paranormal Romance, Urban Fantasy, and Supernatural. Dhampir are half-vampire/half-humans who are trained to protect the Moroi, pure blood vampires. Rose Hathaway is a Dhampir, sworn to protect her best friend Lissa, a Moroi Princess, at all cost. 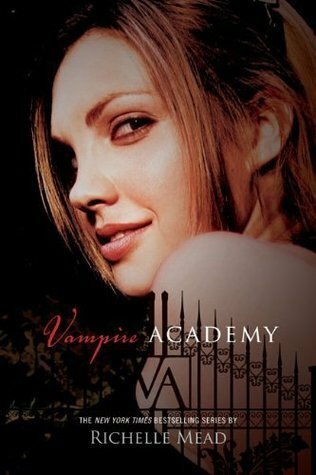 The novel starts off with Rose and Lissa on the run, living in the normal world, until they are dragged back to St. Vladimir’s Academy where Rose must endure Dhampir training in order to protect Lissa. Strigoi, the undead and evil vampires hunt all Moroi, especially those of royalty like Lissa. Rose must learn when to fight, and when to surrender, as she tries to keep Lissa safe as well as her heart. I read this book in one sitting! This is one of those books that I think teens (or 22 year olds like me haha) could really get into even if they aren’t interested in paranormal YA. The romance was perfectly written… forbidden love between Rose, a Dhampir and her best friend Lissa’s guardian Dimitri, who is 7 years older than her. He is technically not allowed to have any interest in her due to the fact that they must guard Lissa, not each other from the Strigoi, who are undead and evil vampires bent on killing all Moroi to gain eternal life. This was fairly heavy on the romance but I enjoyed it because it was well written and engaging. The relationship between Lissa, and a special Moroi named Christian was expected from the first few pages when he was introduced, but it was still very sweet, the two ‘outsiders’ finally getting together. And Victor, the antagonist of the story, didn’t feel like the bad guy at all. Which wasn’t a bad thing. Although he was doing terrible things towards the characters, he ultimately wants to help the Dhampir and Moroi fight the Strigoi. I am very curious as to what happens in the next book, where Victor’s self-righteousness takes him, what happens between Rose and Dimitri and does Lissa’s special powers get her into any more trouble?